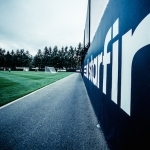 Starfire Sports is the administrative headquarters and official home training facility of your Seattle Sounders FC. 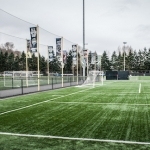 When building the franchise, the team’s desire to become part of the community and benefit the greater Seattle area soccer community is what brought them to Starfire. Today, their presence is a truly unique format for professional sports. Starfire offers an electric and intimate experience for fans and players alike. 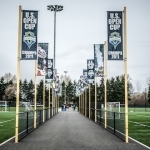 On training days, you’ll find Sounders FC players walking through the campus as they migrate between their locker room, the lunchroom and fields- most training sessions are open to the public to watch. At each Sounders FC match, fans are in for an experience unlike any other. The close proximity of the stands puts fans nearly on top of the field- there isn’t a bad seat in the stadium! The atmosphere created is full of excitement and suspense with cheers that seem as if their piped through the speakers, flags, and scarves that create a sea of green. With a winning record for both teams and arguably the most dedicated fans in US soccer, this arrangement seems to be a perfect fit. Starfire is proud to be the home of your Seattle Sounders FC! Check out recaps of past events at Starfire and learn more about the Sounders and purchase tickets at http://www.soundersfc.com/tickets.